Here is my 10 best animation books list. Like any art form, reading these books will not make you an amazing animator. However, these animation books will provide insights from the legends of animation. The beautiful illustrations made by some of the best artists in the world are inspiring to all ages. You will find that all of these books are enjoyable. These animation books will spark the imagination. They will help when you are in a technical rut. Even non-animators will find these books amazing to gaze over. I have comprised a list of what I think are the ten most wonderful animation books. Now before you read this list I want to put it out there… I am not a professional animator. At least not yet, I am working on it. I will update this post when I am. Since I am still a young animator I can freshly reflect how important and helpful these books have been towards my education of the art-form. These are the greatest animation books on the market. I feel any person serious about animation should purchase these books. Most of my mentors and friends have all of these books on their shelves. I think you should too! 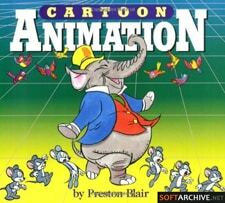 In this list I have indicated a few of the best animation books for beginners. I hope you enjoy the list, now let’s get started. To professional animators putting this book as number 1 might be seen as blasphemous. 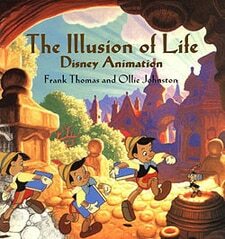 Most people rank The Illusion of Life by Frank Thomas and Ollie Johnson as number one. Animators often refer to The Illusion of Life as the animator’s Bible. 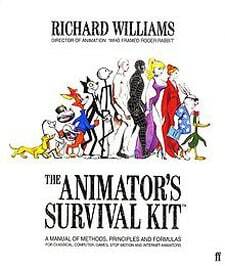 I believe that Richard William’s Animator’s Survival Kit is the animator’s New Testament. Richard William is the director of Who Framed Roger Rabbit. This book covers every aspect of animating from a technical, and applicable, perspective. This is why I give Animator’s Survival Kit my number 1 spot in my greatest animation books list. Feel free to disagree with me and comment. I know some of you will, but this is my personal opinion. Williams’ book goes over nearly every walk cycle imaginable (not really). This animation book shows you a glimpse of how deep the rabbit hole can go. While it can be a bit technical at times, personally I feel that body mechanics are one of the most important aspects of character animation. When it comes to the principles of animation and body mechanics this animation book starts you off on the right track. To me, the Animator’s Survival Kit is one of the best animation books for beginners. Get Animator’s Survival Kit on Amazon.com. This book is considered to be the animation Bible. The Illusion of Life takes the reader through the creation of the art form. The Illusion of Life gives us lessons learned from the early films. This book provides the theory behind every principle of animation. The Illusion of Life is probably one of the prettiest books you will ever come across. The beautiful images are worth the price of admission. Plus reading about the lessons learned from Disney’s nine old men is priceless. Buy The Illusion of Life on Amazon.com. Best Animation Books – Number 3: Draw the Looney Tunes The Warner Bros. Character Design Manual. This might be the hardest book to come by on my supreme animation books list. This animation book is amazing. It is worth the money. Draw the Looney Tunes, The Warner Bros. Character Design Manual focuses mostly on traditional animation and drawing. This animation manual was created during the Golden Era of Animation. This animation book doesn’t dive into the principles of animation. The animation manual does provide amazing insights on how to pose your characters. The manual provides examples of how to take live action photos and break them down into readable animated poses. The best thing about this book is you get to learn posing while learning how to draw your favorite Looney Tunes Characters. Draw the Looney Tunes The Warner Bros. Character Design Manual takes my number three spot on my wonderful animation books list. 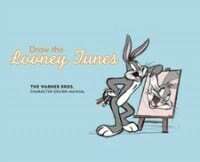 Purchase Draw The Looney Tunes The Warner Bros. Character Design Manual. Eric Goldberg is a living legend. Eric Goldberg is the animator behind Disney’s Genie in Aladdin. 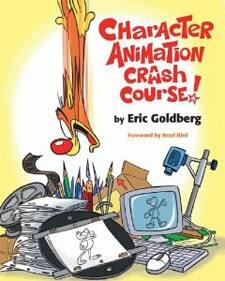 Goldberg’s book is great but it assumes you already know the basics of animation. Rather than being technical like The Animator’s Survival Kit, Goldberg’s explains how to make stylistic choices. His drawing and examples show you how to provide fluidity to your animations. This book lays out the principles of animation in a very interesting way. Character Animation Crash Course! goes over weight, mass, and volume in simple animation tests that are easy to understand. This is why it is my second favorite animation book for beginners. Buy Character Animation Crash Course! 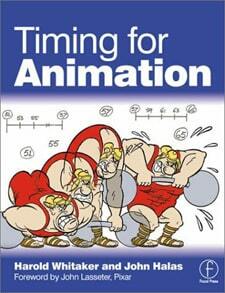 Best Animation Books – Number 5: Timing for Animation by Harold Whitaker and John Halas. The topic of this book is pretty obvious, timing for animation. Personally I struggle a lot with spacing and timing in my animation. Timing for Animation helped me solve some of the mystery behind timing. This book goes over a range of timing from heavy weighted objects all the way down to rain and smoke. This book extensively covers timing sheets, lip-sync timing, and cycles. For those that struggle with timing I suggest getting this book! Get Timing for Animation on Amazon.com. Preston Blair’s Cartoon Animation focuses on five key areas, character movement, character development, animation, dialogue, and camera sound. Preston Blair is responsible for Mickey in the Sorcerer’s Apprentice. Preston Blair does an amazing job at explaining topic’s like “The Wave Principle”, “Arcs and Curves”, and Lip-Sync. His section on facial animation proves to be super useful time and time again. I recommend this book to everyone. Especially those interested in lip-sync. These two books combined provide over 800 pages of pure awesomeness. These two bombshells of books provide insights to Disney Master Classes. 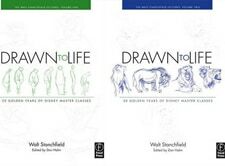 Drawn to Life Volume 1 and Drawn to Life Volume 2 cover everything you can think about drawing and posing for animation. There are lessons for every aspect of drawing in animation. Drawn to Life will give you techniques on creating believable characters, pushing poses, and learning to observe. These animation books teach you with examples of how you can push your drawings. Walt Stanchfiled will take other animator’s drawings, draw over it, and show you how he would improve the poses. Drawn to Life gives tons of information. If you are looking for a jackpot of gold animation nuggets these books provide it. The more and more I think about these books the higher on the lists they should be. Get Drawn to Life Volume 1 and Drawn to Life Volume 2. 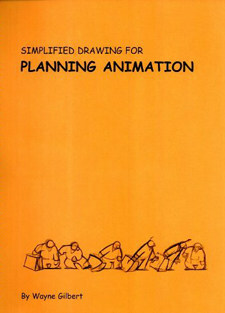 Best Animation Books – Number 9: Simplified Drawing for Planning Animation by Wayne Gilbert. I have written a review about this book here: link. Personally, I love this book. Simplified Drawing for Planning Animation gives confidence to those that are not strong draftsman. Wayne Gilbert covers the importance of planning your animation. He gives you the tools to do it quickly while having fun. If you are not confident in your drawing ,or weak at planning, I suggest taking a look at Simplified Drawing for Planning Animation. You will understand why it made my best animation books list. Buy Drawing for Planning Animation. Number 10 (tie): Force: Dynamic Life Drawing for Animators by Mike Mattesi and Acting for Animators by Ed Hooks. So I decided to give a tie to my last two books on the list. They are both too valuable not to make the top ten list for my fantastic animation books. So let’s start by quickly reviewing Force: Dynamic Life Drawing for Animators. Force: Dynamic Life Drawing for Animators written by Mike Mattesi will help bring your sketches to life through rhythmic drawing lessons. Mike Mattesi a character design instructor who works with clients like Disney, Pixar, Marvel Comics, and Nickelodeon gives astonishing illustrations on how forceful poses can be. 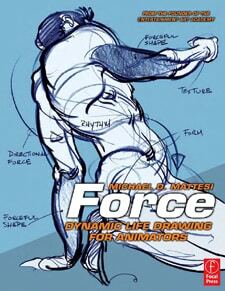 If you want to improve your posing and drawing abilities get Force: Dynamic life Drawing for Animators. Get Force: Dynamic Life Drawing for Animators. 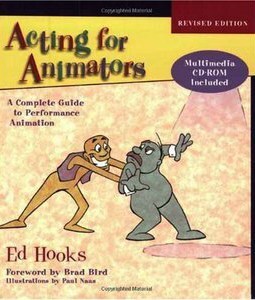 To round up my list, I have chosen Acting for Animators by Ed Hooks. Ed Hooks is an industry leading acting instructor for animators. His book goes over how animators should think about, discover, and create a character. Ed Hooks provides you with a gaggle of acting theory, exercises, and examples. Any serious animator knows that storytelling is the name of the game. Acting for Animators helps give you a toolbox to really discover your character as an animator. As a quick recap, here is a quick overview of each book’s ranking, title, author, rough cost, and strengths. Phew, that was a long list. I hope you found it enjoyable. If you have any questions or comments please enter them below. Happy Animating. !